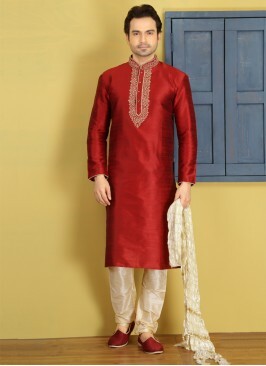 This golden mens wedding indo western groom sherwani including the appealing glamorous showing the feel of cute and graceful. . It Come with matching bottom. Note: Mala, Mojdi and Safa(turban) only for photoshoot purpose. 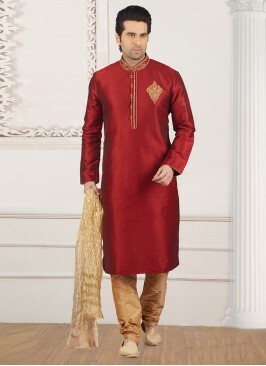 Golden And Red Indo Weste..